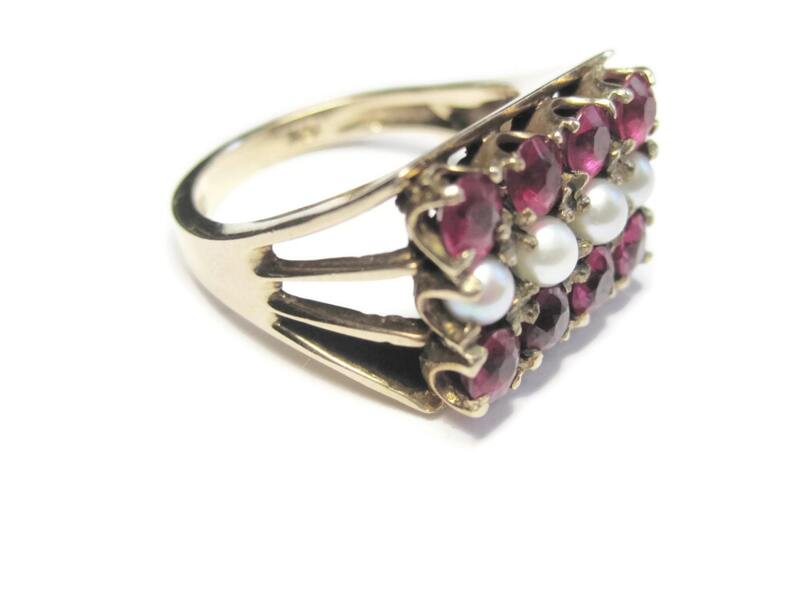 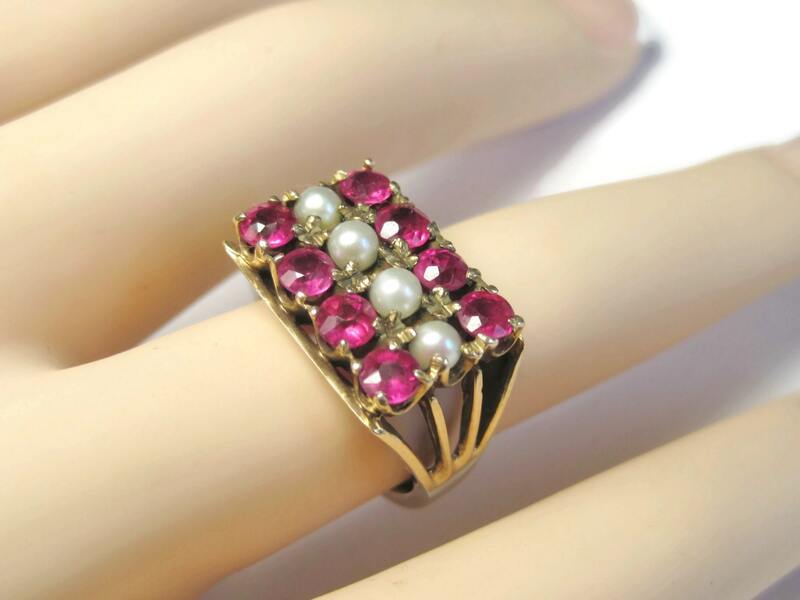 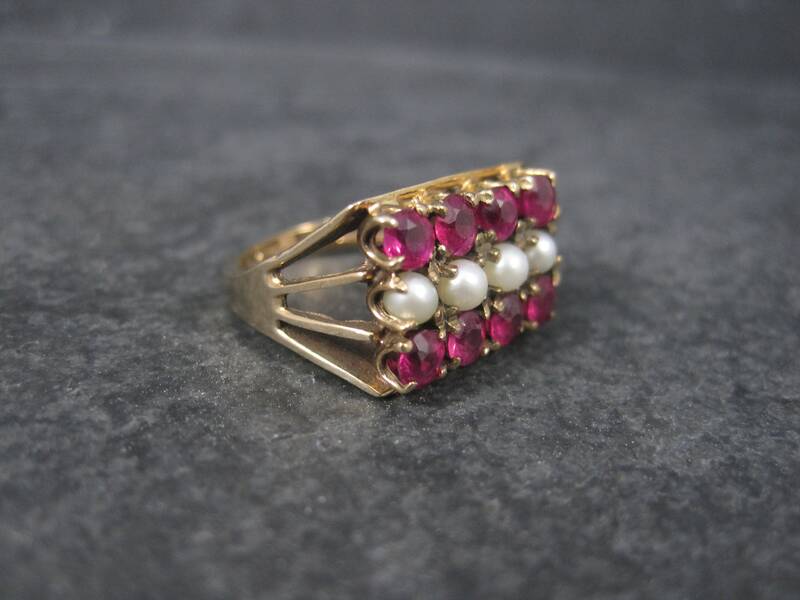 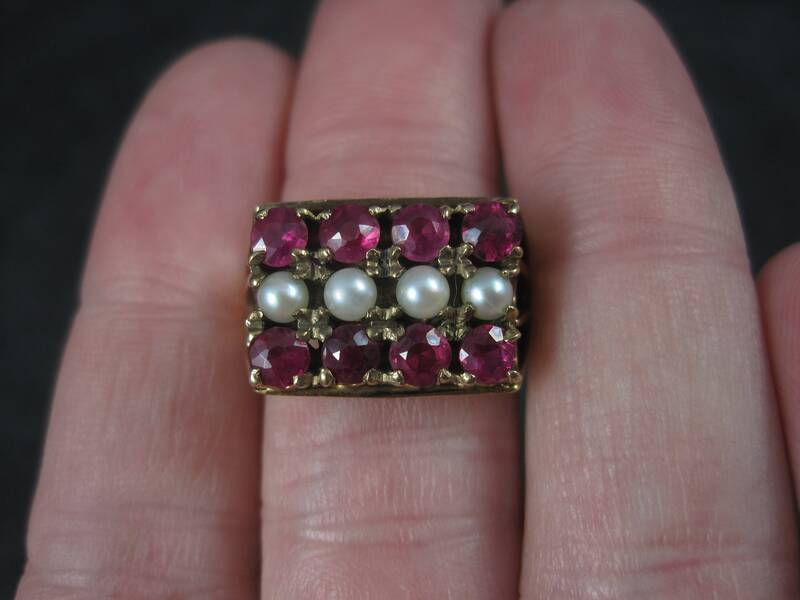 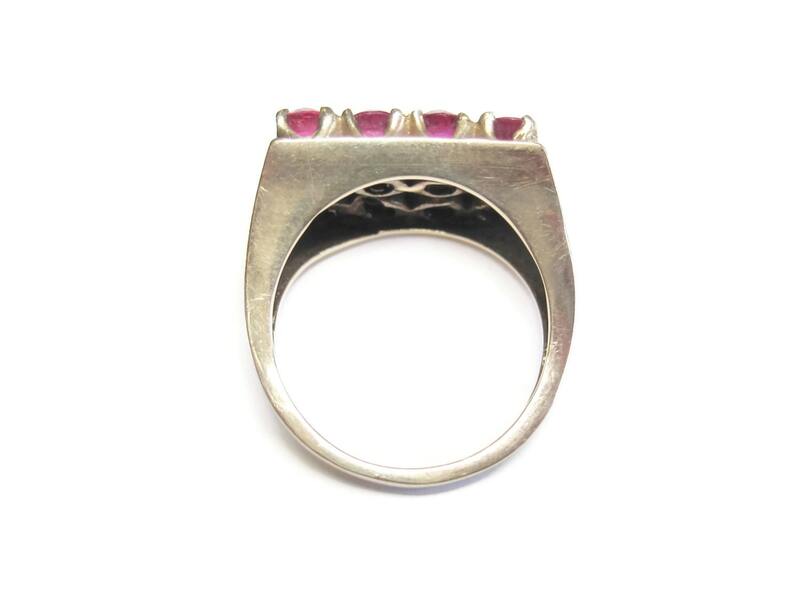 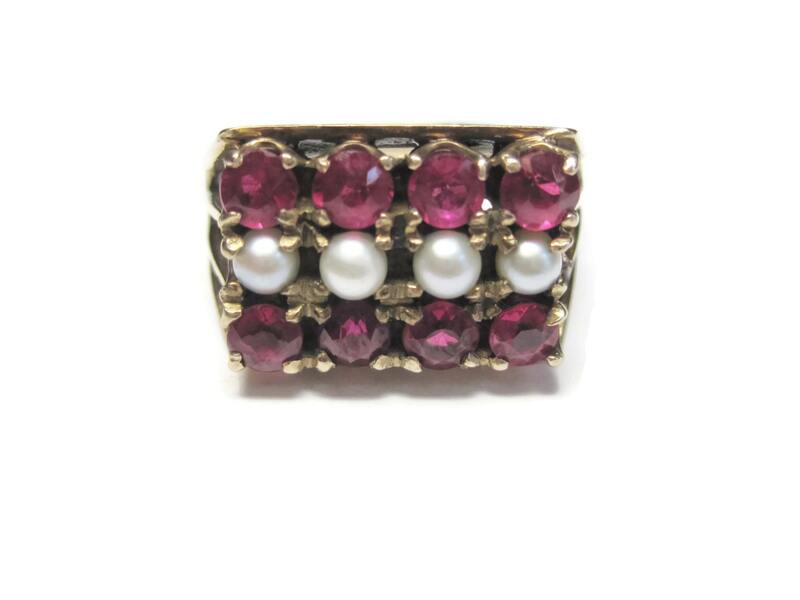 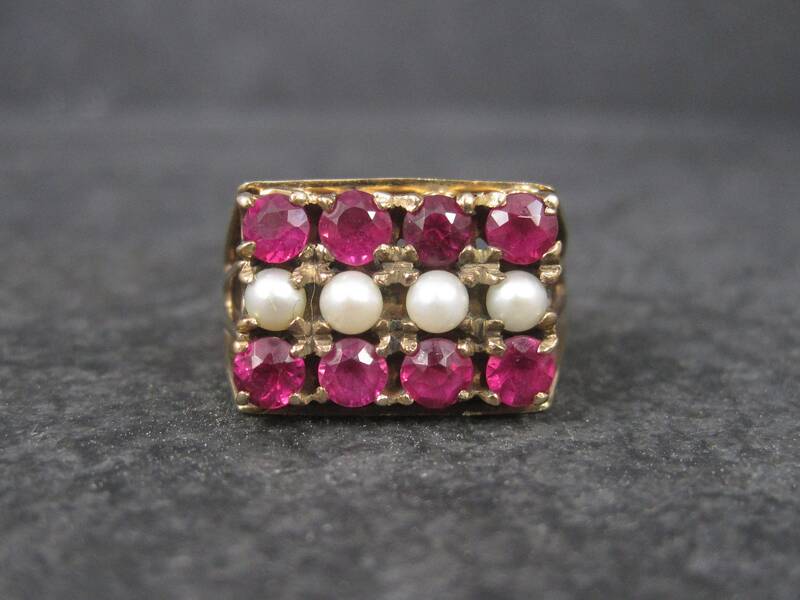 This gorgeous antique ring features 8 gorgeous rubies and 4 pearls. 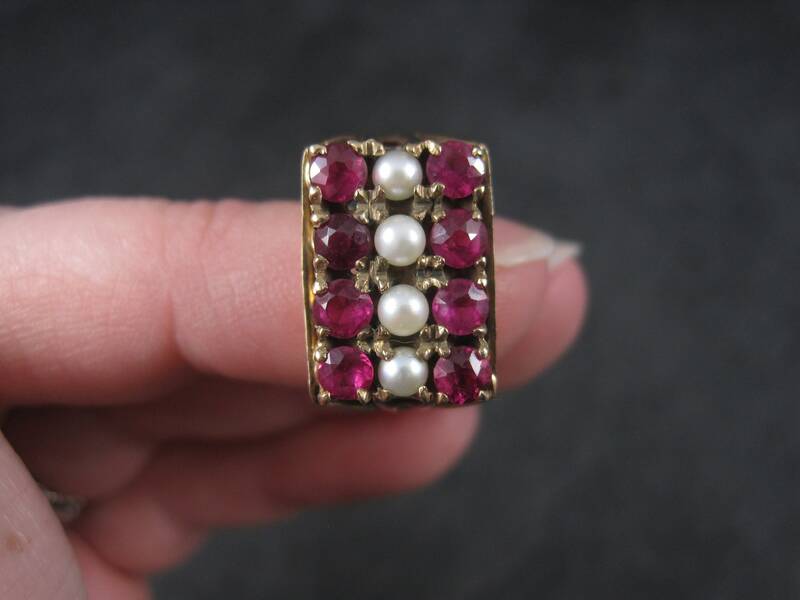 Each of the rubies measures 4mm for 1.60 total carats. 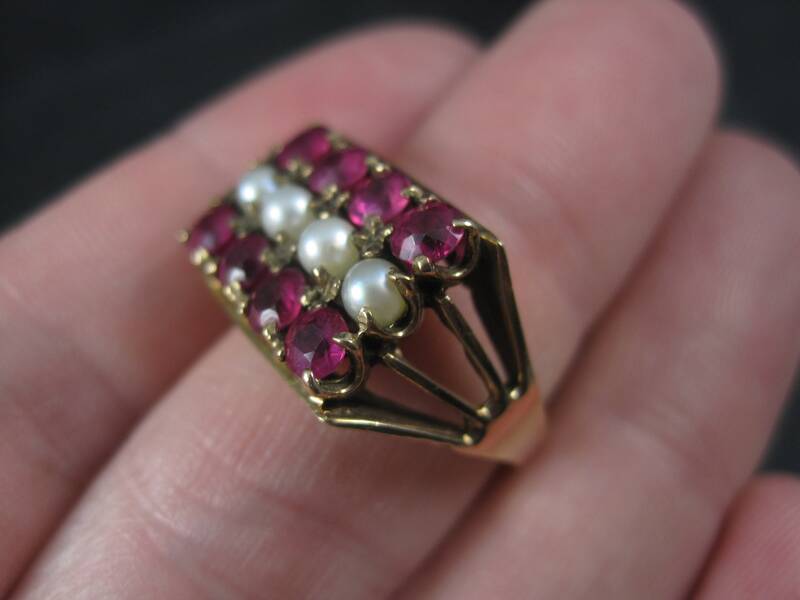 Each of the pearls measures 3mm. 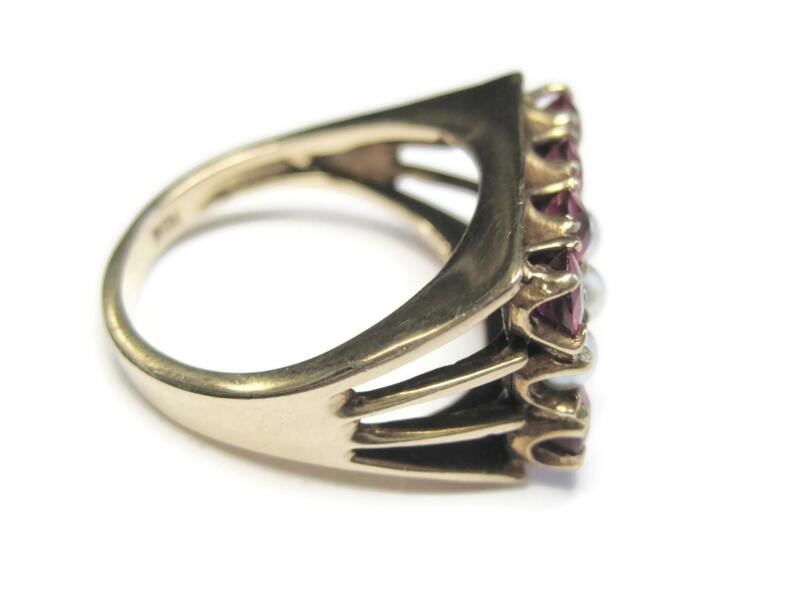 The face of the ring measures 1/2 inch from knuckle to knuckle.